I don’t need to persuade you — they’re the perfect opportunity to grab a glass of water, go to the bathroom, change the channel or respond to that text from my aunt. The reality is, many search engine users see paid advertising in precisely this manner — a moment to switch off that concentration button while they’re waiting for the good stuff. As a result of this behaviour, of distinct Google search queries, only 3.4% result in a click on a paid ad. Look, don’t get me wrong. 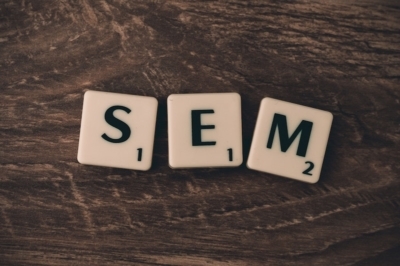 Paid search, or SEM, is often a necessary addition to your digital marketing strategy. It’s a jungle out there, and sometimes the rare flower that you are takes some time to identify. Paid search can be a quick-fix booster to getting noticed, but you simply cannot forget the importance of SEO for your business’s long-term growth. Before we go any further, let’s weigh up the pros and cons of SEO vs SEM to help you understand how to drive traffic to your website in a way that is sustainable and encourages genuine growth. Let’s start by having a look at SEM. I always like to start with the good news first, so why don’t we start with the Pros. Want to know how to drive traffic to your website in a hurry? From the moment your ad goes live, it may almost immediately boost website traffic for you. SEM can help you target your niche with very little work, allowing you to get directly to the people you want to be talking to. Paid search allows you to structure your campaigns so that you can follow up with customers, both potential and converted, by re-showing your ad to recent visitors. SEM is a quick fix solution for eCommerce companies looking to be discovered. While paid search is quick and easy, it does little to improve your organic ranking — the holy grail of digital marketing. There is no contest between SEO vs SEM when it comes to delivering sustainable long-term growth. With SEM, when your advertising budget runs out, so does your visibility. People hate being advertised at. As we’ve already seen, the likelihood of people clicking on an ad over relevant content is slim. The cost to company in the long term is the fundamental difference between SEO and SEM. While cost-per-click may seem financially advantageous to start off with, that $1 here and $1 there does add up, particularly if you get yourself into a bidding war with a competitor. Let’s head over to SEO and see what it has to offer, both positive and negative. When looking at SEO vs SEM, it’s important to understand that the money you invest in your SEO strategy today will keep bearing fruit down the line. Unlike SEM, you won’t have to keep paying and paying in order to yield results. Organic ranking gives credibility to your business. You’ve got to that place because you earned it, not because you spent a quick buck. SEO can have a positive impact on the development of your brand awareness. If your SEO strategy is executed properly, it means you will be associated with noteworthy businesses and seen as a significant provider of the goods and services you offer. When customers are doing their research, you’ll come up at the top of the pile. The importance of SEO is that you are building an in-depth marketing structure, not simply a knee-jerk response to bring traffic to your website. It’s a smart, integrative business approach that favours sustainable growth. Rather than a list of cons, this is a warning — SEO takes time. In my opinion, this the fundamental issue that steers people away from SEO. In a world that prizes the sugar rush, SEO is a low-carb diet. If you are looking at how to drive traffic to your website through SEO, you have to approach the task from an investment mindset. Your efforts now will only be seen further down the line — but they will definitely be seen. If you are looking for long term sustainable growth with measurable ROI that has the potential to increase exponentially, you cannot ignore the importance of SEO and what it can do for you. While there are numerous reasons as to why SEO is a better investment than paid search, here’s a quick taster. These are my Top 3. If you are willing to invest in coming up toward the top of organic search results, the benefits far exceed simply getting yourself noticed—although that’s great too. This positioning improves your credibility, boosts your brand awareness, and converts into clicks. Perhaps most notably, appearing in the upper echelons of search query results gives you a strategic advantage that your competitors will find difficult to match. The reality is that it takes time and effort to get there. You cannot simply pay the bouncer at the door to gain entry. You will be rewarded for the work you’ve put in. Let’s not kid around. The reason you engage with marketing efforts of any sort is because you are looking to convert potential customers into paying ones. SEO does this. According to this HubSpot report, 61% of marketers say improving SEO and growing their organic presence is their top inbound marketing priority. If you’re not already sharing this sentiment, maybe it’s time to reconsider. You more than likely see the worth of long-term investment in multiple other areas of your life. You invest in your child’s college fund, you buy property, you put money away for retirement. When it comes to investment, short-term thinking will only get you so far—literally. SEO does not dish out results when you first begin to implement your strategy. It is a seed that needs to be planted, watered, and fed—but once it bears fruit, it will continue to do so for years to come. The beauty of this is that you will reap the rewards long after your initial decision to embark on this journey in the form of a pleasing ROI. Here’s our final word for now: you don’t have to be the commercial break. Make yourself the content that people want to engage with rather than their reason to get up and unpack the dishwasher. If you’d like to discuss this further, we’d be happy to chat.